Karla, Karle or Karli as it is known by different names is a small village just beyond Lonavala on the Bombay Poona Road. The village is also known as Vihar Gaon. 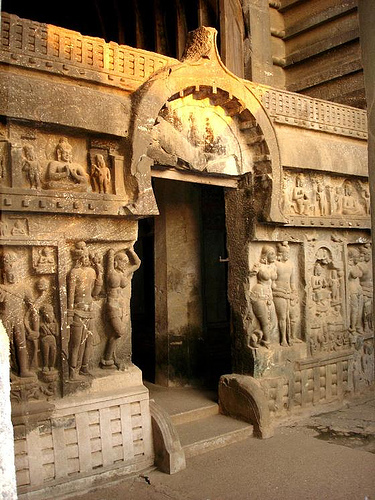 The village sits in the lap of hills and is famous for Buddhist caves. You have to walk a steep path leading to the caves and it leaves you panting and gasping for breath. But experience in the Caves just offsets this laborious walk. There are many caves bigger and smaller ones. Biggest resembles inside of a church consisting of nave and side aisles. Under the semi-dome is dogaba or relic shrine which it seems was painted and decorated originally. Near this cave is the temple of Goddess of Koli people called Ekvira. Kolis are fishing community and the Bombay’s original name Mumbai owes it to their another Goddess named Mumba Devi. 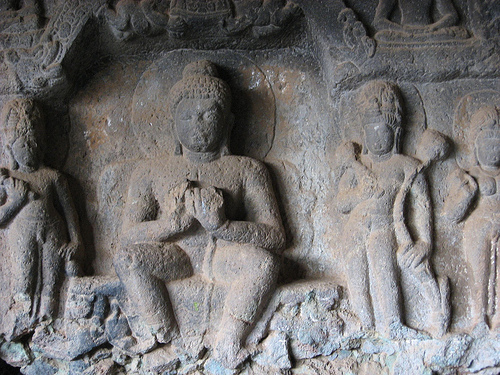 Karle cave acted as a monastery for Buddhists. 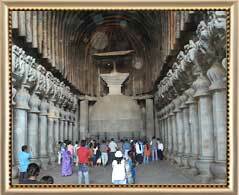 It is the largest and most completely built caves belonging to Buddhists in India. Pillars of the nave are almost perpendicular and decorated. Many defects of the earlier chaytias had been removed. Now there are no monks. Tourists visits these caves and a ticket has to be bought for visiting. The place is very easily accessible. From Lonavala even auto rickshaws ply there. Lonavala is famous place along with its twin Khandala which is an hill station and looks very lovely during the rainy season. Many waterfalls appear during the rains and even from the distance they present a beautiful panorama. Lonavala is also very famous for Chikki, a sweet concoction in which the sugar or jaggery is the main ingredient and dry fruits like cashew, groundnuts, Kishmish are embedded in it. There are shops and shops selling this delicacy. You must visit these places. The best season would be from January to March. It is not very cold over these places. But for seeing and enjoying the waterfalls one has to come in the rainy season which is long one in this area from July to October.